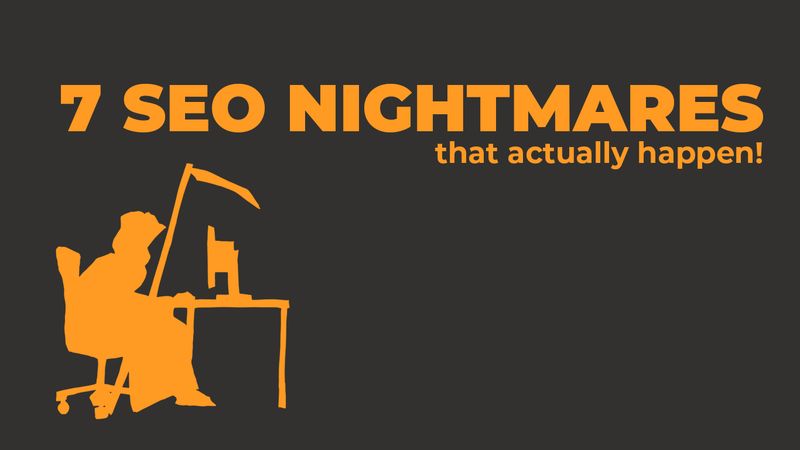 As things grow spookier as Halloween draws nigh, let’s focus on an often-overlooked source of living nightmares: SEO. Search engine optimization is at the heart of online marketing, for businesses of any size. In the constantly-changing world of online marketing, rankings are always rising and falling, usually within a predictable range. However, certain uncanny events can cause your rankings to descend unto the abyss. Your Google My Business listing is a crucial part of any small business’ web presence. At a glance, your GMB listing puts your business on the map. Your listing contains your business’ official name, address, phone number, website, and hours of operation. Your listing is a priceless point of entry for customers looking for your products or services. The nightmare begins when your competitor, or another online rascal, suggests to Google that your business is closed. Or changes any other crucial part of your listing. Google takes user-suggested content seriously, and a lot of incorrect and malicious edits could get pushed through. Google has made some statements about merchants being notified by email when changes occur, or edits are suggested, but some authorities in the SEO world have debated (and debunked) these claims. To avoid your competitors wreaking havoc on your listings, be sure to keep your listings optimized and monitored. Consider hiring a professional to keep your listing optimized and up to date, if you don’t have the time. 2.4 billion robo-calls are made every month. Small business owners definitely believe this statistic, because their phones are usually ringing off the hook with these maddening and persistent robots. A lot of these robots will connect you with a high-pressure call-center, hellbent on gaining access to your personal information. Oftentimes, they want into your listing so they can change your information, and charge you to change it back to the way it was before. Needless to say, if scammers or hackers get access to your listing or website, your rankings (and bank account) risk devastation. Unless you’ve signed up to receive these robo-calls, they’re illegal. Hang up on these scammers, or consider the National Do Not Call Registry. If your accounts and logins are compromised, contacting a professional may be the best option to ensure your web presence recovers. WordPress a big part of the industry, and one click can de-index your entire site. Plenty of fledgling webmasters type their company name, or their brand’s distinctive keywords, into the Google search bar, only to find page after page of competitors. Somewhere around page 11 of search results, in the barren, unclicked doldrums of the web, they give up trying to find their site. This is the de-indexed feeling. It happens more often than you might think. Either Google has actively targeted your site for violations of their webmaster quality guidelines, or you’ve made a mistake in your WordPress dashboard/backend. Google will take manual action against your WordPress if you’re doing something deceptive, spammy, unethical, or malicious. If you’re up to date on Google’s Webmaster Guidelines, you (generally) have nothing to worry about. Common violations include cloaking (trying to deceive Google by showing users and search engines drastically different content), keyword stuffing, hidden text, and unnatural link practices. These sorts of violations don’t generally happen by accident. They result from deliberate sneakiness. If you’re surprised by a de-index on your WordPress, you’ve likely made a mistake in your WordPress backend. There exists a checkbox in the Settings menu, which reads, “Discourage search engines from indexing this site.” There are plenty of reasons to click this box. If you’re actively developing your WordPress, you don’t want your incomplete site being crawled. Users will click this box to de-index during development, and will forget to uncheck the box at launch. Your freshly-launched, beautifully-designed WordPress site is ignored by Google. Not to mention your intended audience. If you’re a WordPress user, log in and check to see if your site is de-indexed voluntarily in Settings > Reading > Search Engine Visibility. Nothing can wreak havoc on your web presence quite like getting hacked. When your website is hacked, it could be defaced, it may crash, it may redirected to sketchy portions of the internet, your identity could be stolen, or ransomware could be installed on your computer, which holds your important content hostage for huge sums of money. What happens to your website depends on the hacker, and your site’s security. In SEO terms, Google may blacklist your site. Google will keep users away from unsafe websites, and if your website is full of malware, or broken by hackers, you can expect your rankings and traffic to take a serious hit. Visitors will be greeted by a garish warning, and will almost definitely click away from your site. A hacked website is among the worst-case-scenarios for a website. Luckily, there are plenty of security features available, from SSLs and CDNs to security plugins. It’s better to take preventive measures than damage control, but you still have options if your site is hacked. Keeping up-to-date on the latest tech trends is always a priority. The Internet, and digital marketing, changes at a breakneck pace, and websites can become antiquated from one week to the next. A greater sin than standing still is rushing a re-launch. Sometimes, to make a deadline, a website will be pushed to completion, and some major details get overlooked. Websites with new versions of URLs can result in a vast network of broken links. Be vigilant with redirects, or your traffic will arrive at 404 pages, and Google will be most displeased. During the development stage of a website, it’s a good idea to block Google from crawling the unfinished site, which is configured through the robots.txt or robots meta-tags. More often than you might think, a user will forget to unblock Google’s crawlers, and a relaunched site will be ignored. This is an easy detail to overlook, but can be disastrous. Use vetted professionals that have launched and re-launched a lot of websites. An amateur web developer or a do-it-yourselfer is almost guaranteed to overlook a crucial detail. Despite what you’ve heard, there are no SEO shortcuts. We’ve all seen the spammy links and ads for content farms, but these practices will definitely ruin your credibility with your customers and Google. Google’s Panda algorithm update in 2011 laid waste to the content farm industry, and devalued the thin, unreadable drivel they mass-produced. Unlike the early days of the Internet, bad writing stopped helping websites, and actually started hurting the authority of spammers. Since then, the machine-learning aspect of Google’s core algorithm has cracked down on spam more than ever before. Don’t even think of buying content in bulk. If it ain’t broke don’t fix it, right? In the case of SEO, wrong! The moment you have a good grasp on how Google ranks, penalizes, values, dampens, and evolves, it changes. That could be why web developers, business owners, and digital marketers are so often frustrated: The rules are changing, and will never stop. Spammy practices, keyword-stuffing, cloaking, content farms, and bought links were all, at one point, successful SEO strategies. A lot of users think that if something succeeds at one time, the strategy is tried-and-true, and can be used indefinitely. The key to digital marketing is adapting to the changes. Some changes are made public via Google announcements and updates to the Google Search Console, while others have to be interpreted by SEO experts beyond the clutches of Google. The resounding moral: SEO is an ongoing journey. Webmasters, business owners, and digital marketers have to constantly adjust their practices to stay in on the correct side of search engines, or your web presence (and revenue) will fade away.